“You’re Fired” I was paralyzed. 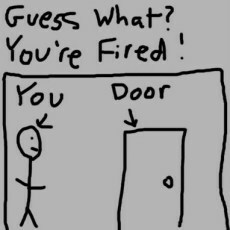 Me, fired? You must be kidding right? I was early 20-something and working for a small growing private firm. Pretty early on I knew the company wasn’t for me. In the spirit of sticking with it, though, I hung on for one very long year. I remember the day vividly. I shook hands and thanked the department leader. Then, I went to the car, cried, and called my Dad with the embarrassing news. Dad has a unique way of seeing things. “Well, so you’ve been laid off, and now fired. This qualifies you to put “seasoned professional” on your resume,” he chuckled. He was right. So I did. That day changed my life and taught me some huge lessons. Culture is everything and you have the power to choose. I was more than competent for the role, however the work environment wasn’t a fit. You need and deserve to bring whole self to everything you do! When you interview, look for fit, first. Choose to surround yourself with the people that matter most. Every job doesn’t have to go on your resume. Do I dwell on my time at this company? Nope! In fact career experts advice against it. I do, however speak candidly about the experience. Through failure, we learn. Invest in yourself by hiring a great career or executive coach. Coaches provide thoughtful advice and tools on how to increase your performance, elevate your emotional intelligence, and pick roles and companies that will play to your strengths. For a while I worked with Joan Bolmer and my friend, executive coach and author Dr. John Reed PhD wrote an excellent book on how to find one. 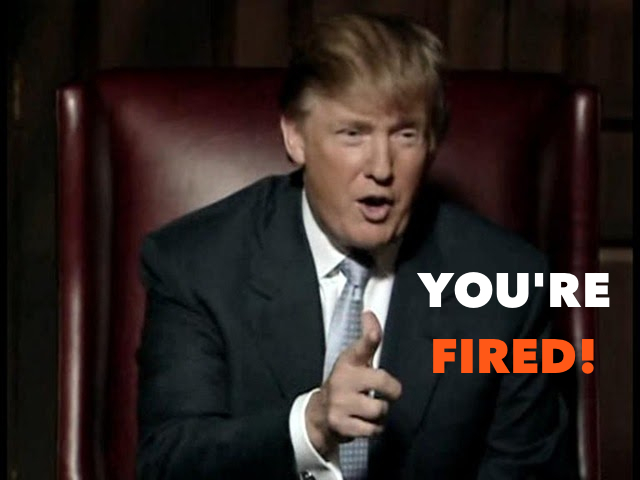 Hearing “You’re Fired” was a career defining opportunity for me. Although, I must say it would have been far more entertaining had the successful real estate titan, Donald Trump say it.